New office and retail space on the way to Military Cutoff Road this year includes the TowneBank Building and the anticipated grocery store-anchored retail center, Renaissance Market. 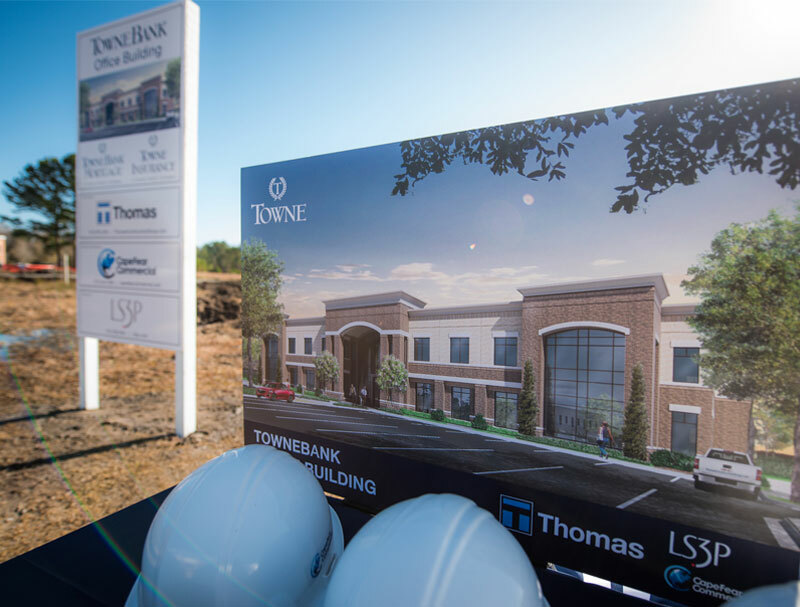 Crews broke ground this month on the TowneBank Building, so named because its occupants include subsidiaries of publicly traded bank TowneBank. TowneBank Mortgage and Towne Insurance are the anchor tenants for the Cape Fear Commercial project, a 31,250-square-foot office building previously referred to as Renaissance II at 6925 Fresco Drive. Thomas Construction Group, the project’s general contractor, will occupy the rest of the building, about 15,000 square feet on the second floor. Cape Fear Commercial is marketing another fully permitted office building in Renaissance Park, a 20,500-square-foot, LS3P-designed building that will be located next to the TowneBank Building at 1010 Ashes Drive. 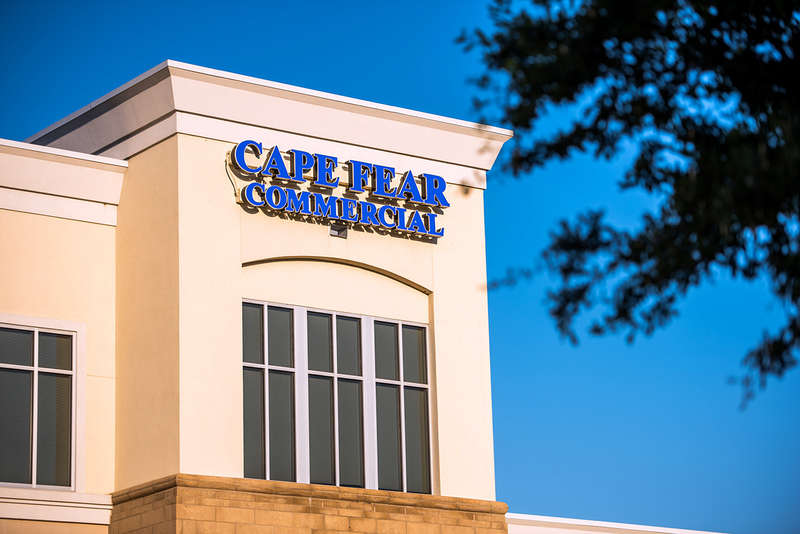 Brian Eckel, co-founder of Wilmington- based Cape Fear Commercial, said he believes the office space outlook for this year is a positive one, though he’s also cautious with his optimism because of past experiences. Announced earlier this month, a health food grocery store and two other tenants are coming to Renaissance Market (formerly called Renaissance North), a retail center that will be located on land at the northeast corner of Military Cutoff and Sir Tyler Drive. New to Wilmington, the health food grocery store Earth Fare has signed a lease to anchor Renaissance Market, a retail center under development by Harbour Retail Partners and Trask Land Co.
West Marine, which offers boating accessories and parts, boating-related apparel and fishing supplies, has also signed a lease to relocate its storefront from Lumina Commons to the new center. And a restaurant, Blaze Pizza, is another of the first tenants to be announced for Renaissance Market. As Harbour Retail Partners and Trask Land progress on the retail center on Military Cutoff Road, Cape Fear Commercial is completing plans to submit to the city of Wilmington for another 182,000 square feet of office and medical office at Autumn Hall, the mixed-use community on Eastwood Road. For the TowneBank subsidiaries, the new Military Cutoff office space represents an expansion in the Wilmington market, where they first established their presence about four years ago, said Rick Goldbach, market director of the Carolinas and executive vice president of Towne- Bank Mortgage. The location of the new building had a lot of benefits for the Towne- Bank companies, including proximity to existing offices and the chance for brand new space. The subsidiaries have about 55 employees now, and that number is expected to rise. “With the growth that Wilmington is going through right now, the opportunity for us is huge,” Goldbach said. Workers in both the TowneBank Building and the 1010 Ashes Drive office will likely provide even more customers for Renaissance Market, and the Ashes Drive project will provide additional connectivity between the employees working there and nearby shopping.